Is Your Construction Website Mobile-Friendly? Especially if you’re targeting property developers and other busy professionals, a mobile-friendly website is critical for connecting with your audience while they research services on the go. Learn where your website stands so you can reach more clients. 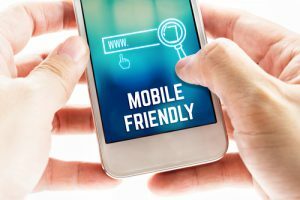 Every smartphone and browser is a little different, so just because your site looks good on your phone, that doesn’t mean it’s truly mobile friendly. To know for sure, use one of the numerous mobile-friendly test websites. Google’s Mobile-Friendly Test gives an individual page a pass or fail score, and if it fails, the test results tell you what needs improving. such as your contact page and sign-up pages for your newsletter and lead magnets. If your site doesn’t look or work correctly, it’s time for an upgrade. 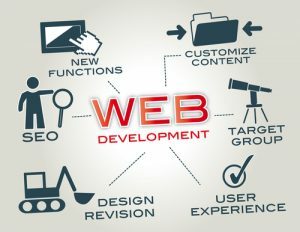 or rebuild your existing site, or have a separate mobile site built. 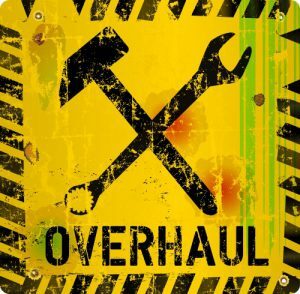 For a relatively new site with only minor issues, a few upgrades should solve your problem. In fact, if you use a blogging or website platform with multiple themes available, such as WordPress, the solution might be as simple as switching to a responsive theme. If your site is old and just doesn’t function on smartphones, it’s often more cost effective to have a separate mobile site built. On the other hand, you might take this opportunity to have your current site overhauled into a modern, mobile-friendly design that assures your visitors they can rely on you for state-of-the-art construction equipment and practices. 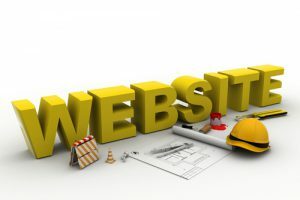 Posted on January 26, 2019 February 4, 2019 Author David MineerCategories NewsTags construction website, website design, website elementsLeave a comment on Is Your Construction Website Mobile-Friendly? Your website is the face of your company and should present you as a modern construction firm that’s easy to work with. If your site is dated, slow, confusing or just not getting results, it’s probably time for a website upgrade. Your site isn’t mobile responsive – Your prospects are busy professionals who do a lot of their business on the go from their smartphones. To reach those prospects, you need a version of your site that looks sharp and is easy to navigate on mobile devices. Your site is hard to navigate – If your site has grown over the years with no design updates, chances are it’s become complex enough for your visitors to get lost. Confused visitors are likely to click away. Up-to-date navigation helps your visitors quickly find what they want, such as your contact form or relevant sections of your work portfolio. Your site loads slowly – If your site takes more than three seconds to load, it’s probably turning visitors away. With today’s high internet speeds, fast-loading sites have become the norm. A delay can make your visitor assume your site is down and click away. With a website upgrade, you’ll get cleaner code, optimized images, and other improvements that speed things up. Your bounce rate is high – Your “bounce rate” is the percentage of visitors who leave after looking at just one page. You can find it using an analytics program such as Google Analytics or Piwik. For a website offering a service, a rate of around 10 to 30 percent is reasonable. Adding useful, engaging content can bring down your bounce rate. Your design is outdated – Just like fashion, website design trends change with time. If your site looks like it hasn’t been touched in 10 years, your prospects are liable to wonder what else you haven’t been keeping current on. A re-design will give you a fresh, modern site that you shows your firm keeps up with the times. For more ideas on how a website upgrade can help you win over more clients, contact us at Construction Monitor. There’s so much you could do with your construction firm’s website that it can be hard to determine which improvements are worth the effort. 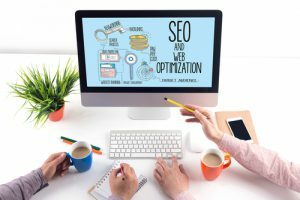 To get the most out of your site upgrade, start with a few proven website best practices. Nothing can convey the full effect of your work like good photography. To really show potential clients what you can do, you need not just a few photos on your project pages, but a complete online portfolio organized as an easy-to-browse gallery. Many online services are available that make setting up a gallery on your site easy. Snapshots from your phone are fine for quick social media updates, but a portfolio demands quality. Invest in a professional architectural photographer who can capture the unique character of your work and highlight its most impressive features. Include not only finished buildings, but also stages of the building process. Crowding brief overviews of all your services onto a single page does a disservice to your skills and the value you offer your clients. Instead, create individual pages for each of your primary construction-related services. Detail exactly what the service is, how the process works, and what benefits it brings your client. The more your prospective clients know about what you can do for them, the more likely they’ll be to get in touch. As a plus, focused service pages help improve your search engine ranking. A content-rich page focused on a specific topic is more likely to rank highly for related search terms. A good word from a few satisfied clients boosts your website visitors’ confidence by acting as third-party proof that you can deliver. Praise from clients also humanizes your firm and can help showcase your more noteworthy services. Written testimonials are fine, but for extra credibility, ask some of your best clients if they’d be willing to do video testimonials. Follow website best practices by strategically placing testimonials on your Home page, About page, and services pages.